In 2014, the capstone group project in Professor Ben King’s entrepreneurship class was to launch an on-campus venture with a $100 budget. Jesse Konig (’14) told his group about the idea he and his friend Jack Zimmerman (’14) had to sell spiral-cut gourmet hot dogs as a way to fund post-graduation travel. Konig was an English major and Zimmerman was a Spanish major, so they also pulled in business and enterprise management (BEM) major Ben Johnson (’14), and Swizzler was born. The project was so successful that it became the highest grossing venture in the history of the class. The group realized they had an opportunity to capitalize on their momentum. After graduation, Johnson, Konig, and Zimmerman pursued their dream of launching Swizzler full-time in D.C. They recognized the market opportunity for a successful food truck that would allow them to reach different neighborhoods with a lower startup cost. 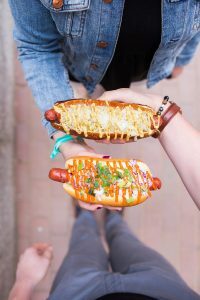 The group worked with food incubator Union Kitchen, and on Halloween 2014, they hosted their first official gig, showcasing a menu featuring locally sourced, organic, grass-fed beef hot dogs with unique combinations of gourmet toppings. Four and a half years later, Swizzler is still teaching old dogs new tricks, and still relying on lessons learned from their time at Wake Forest. They also learned from professor Ben King that entrepreneurship is the pursuit of opportunity without regard for the resources currently in your control. “He told us that we don’t need to know all the details, we just need to be able to identify a great opportunity and have the persistence to be able to pivot and make changes as we go,” Konig said. 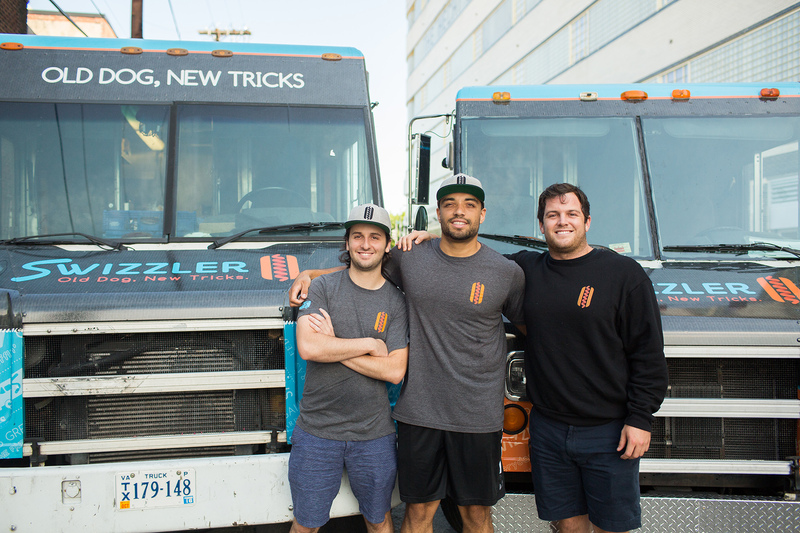 Swizzler now features two food trucks, and this fall the team will open their first brick-and-mortar location in a renovated food hall in Ballston Quarter, the D.C. suburb where the group lived together during their challenging first year in business.  And while they start a new chapter in their business, Johnson said their Wake Forest experience guides their organizational values.